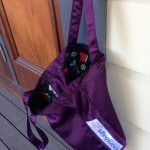 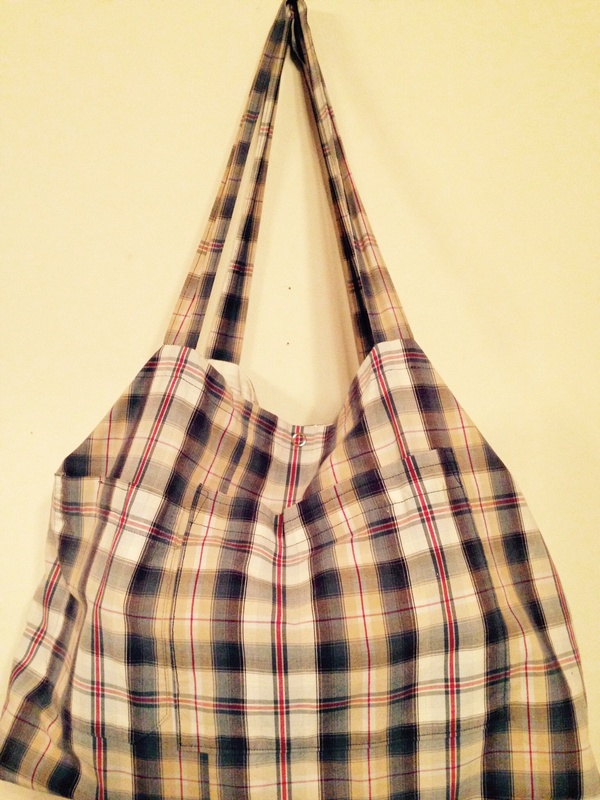 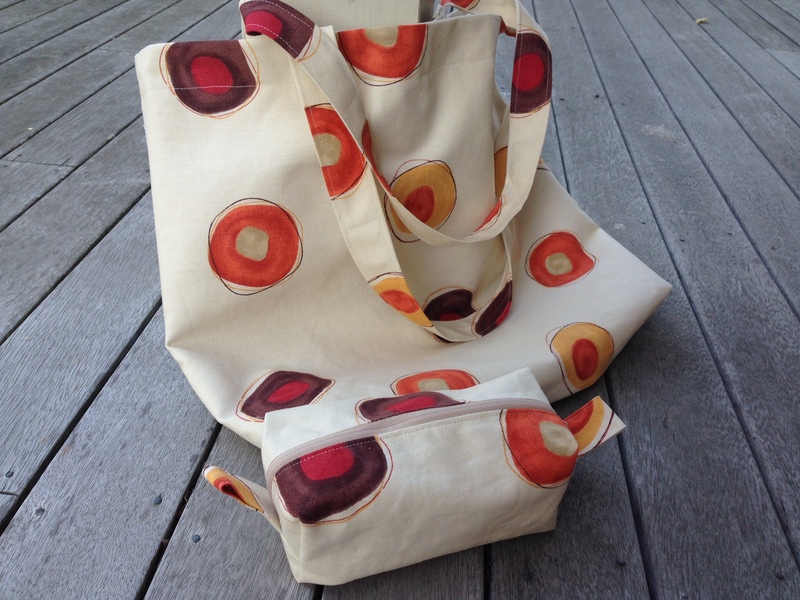 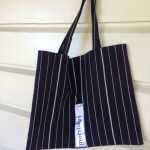 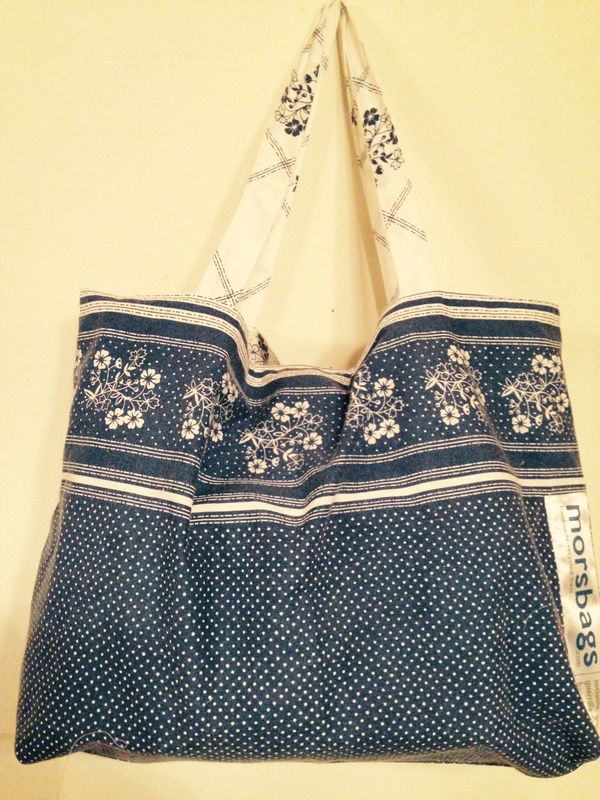 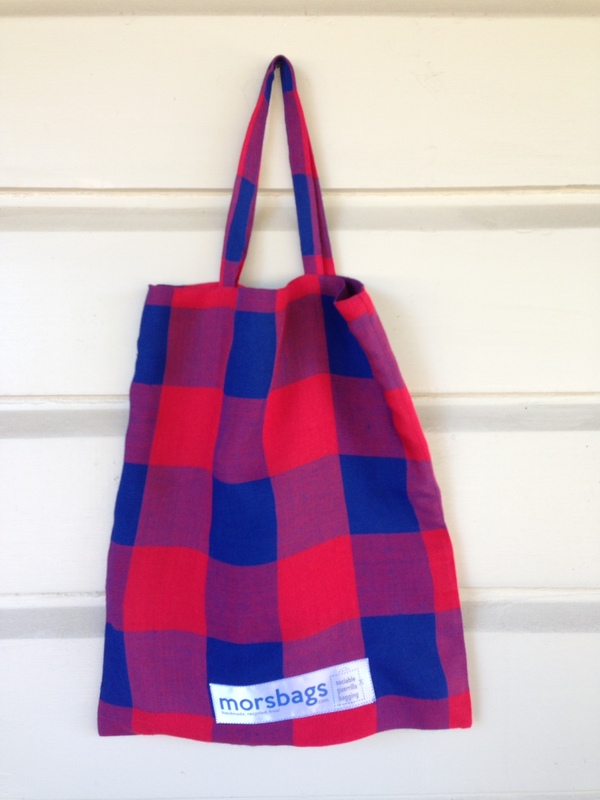 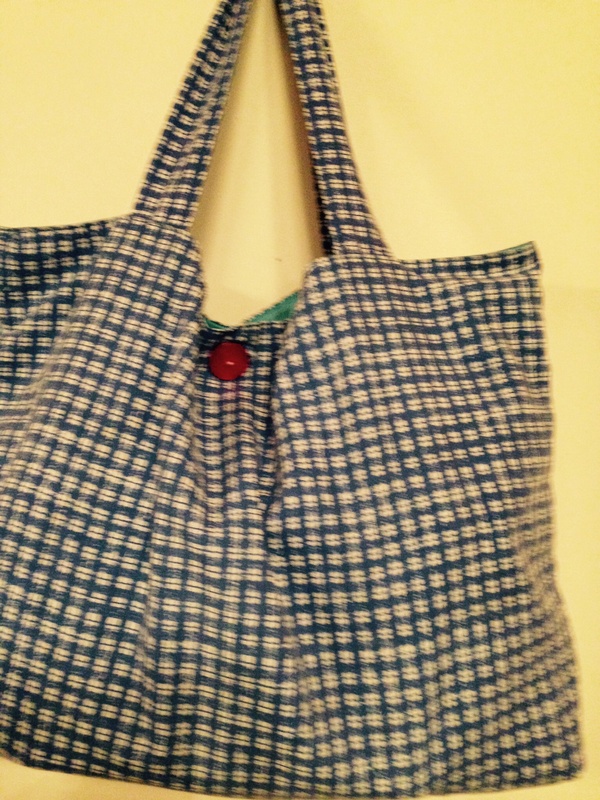 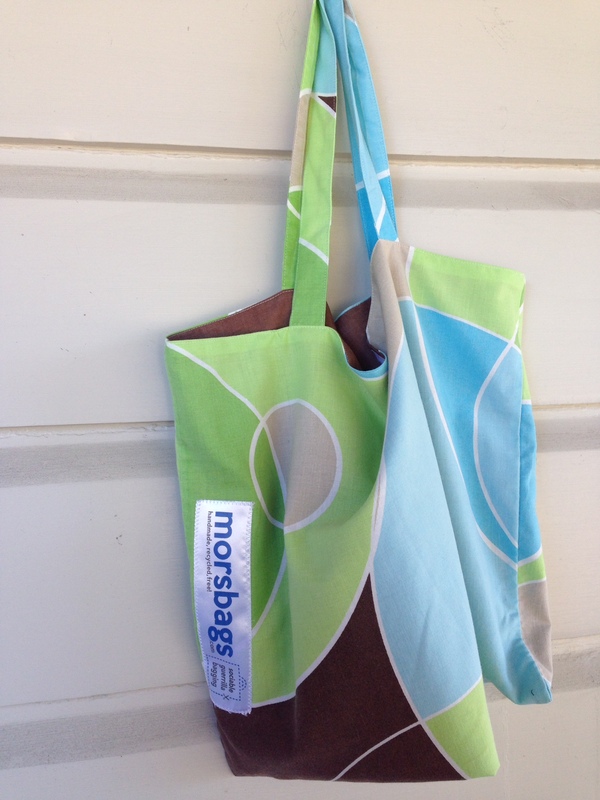 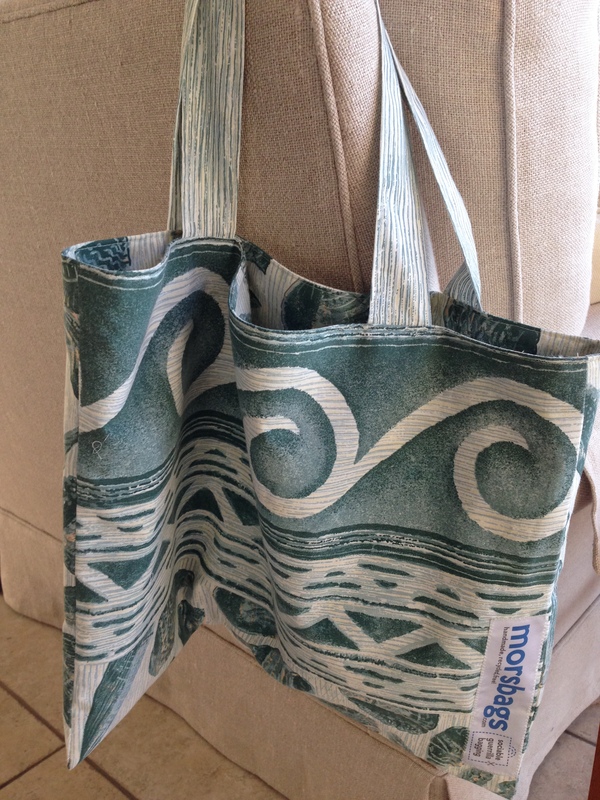 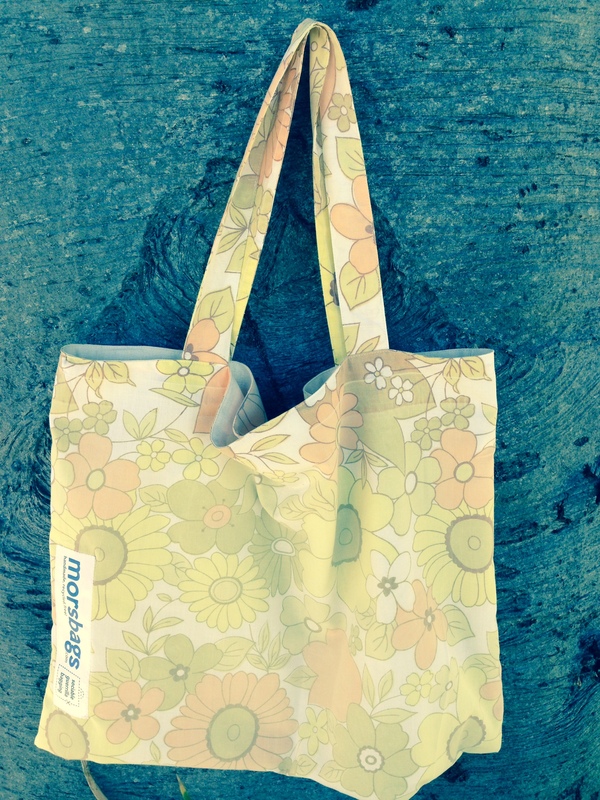 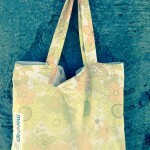 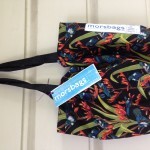 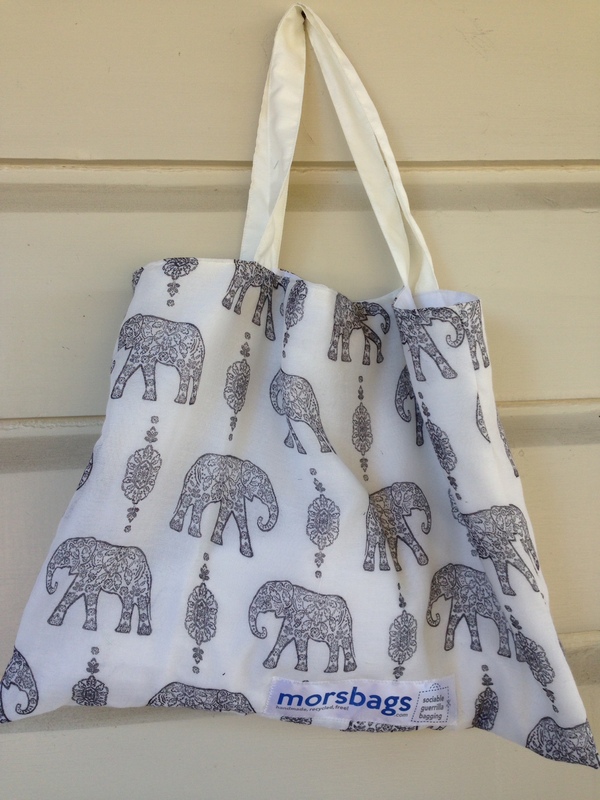 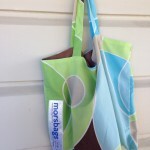 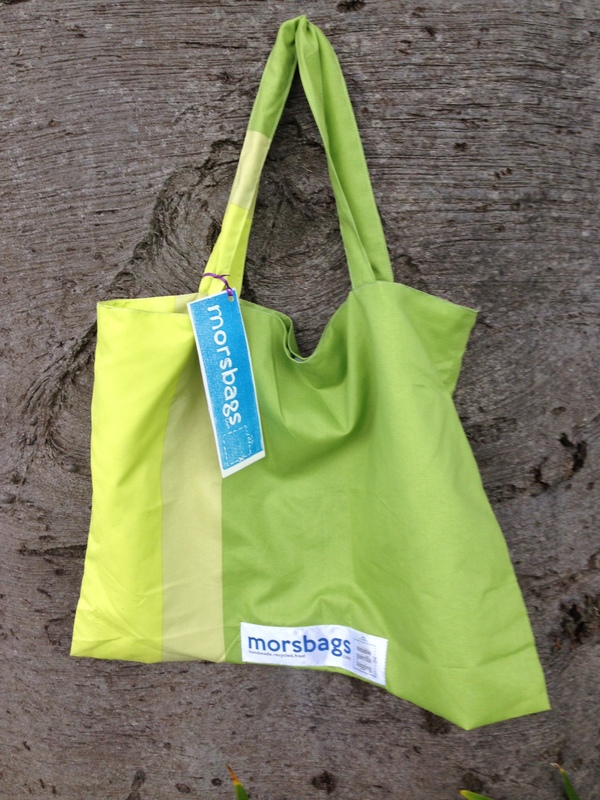 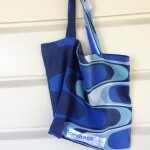 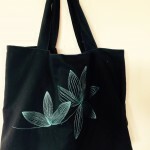 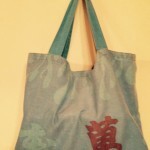 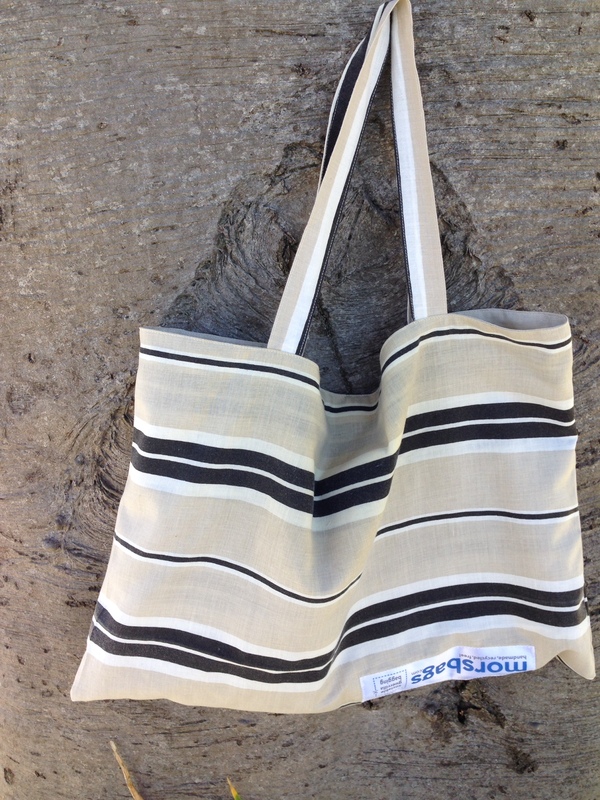 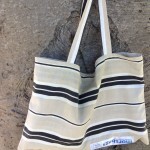 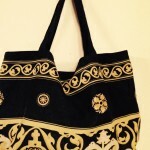 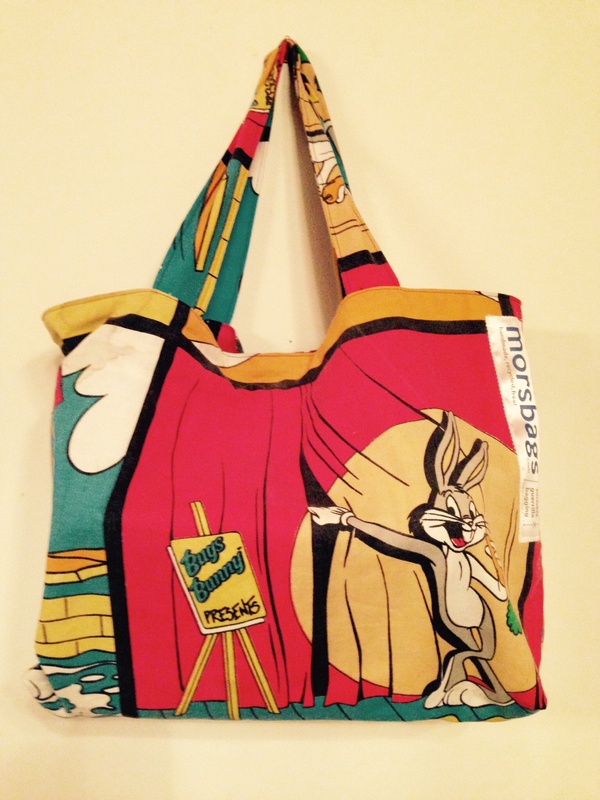 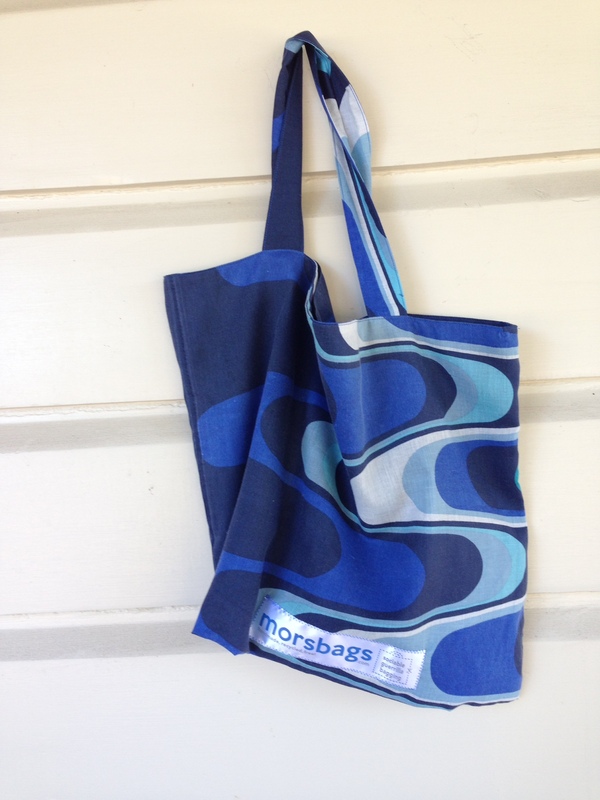 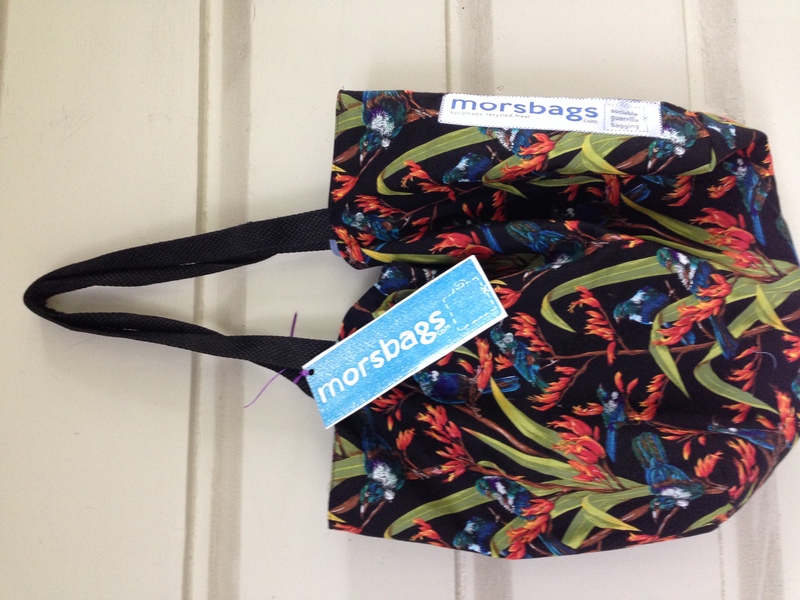 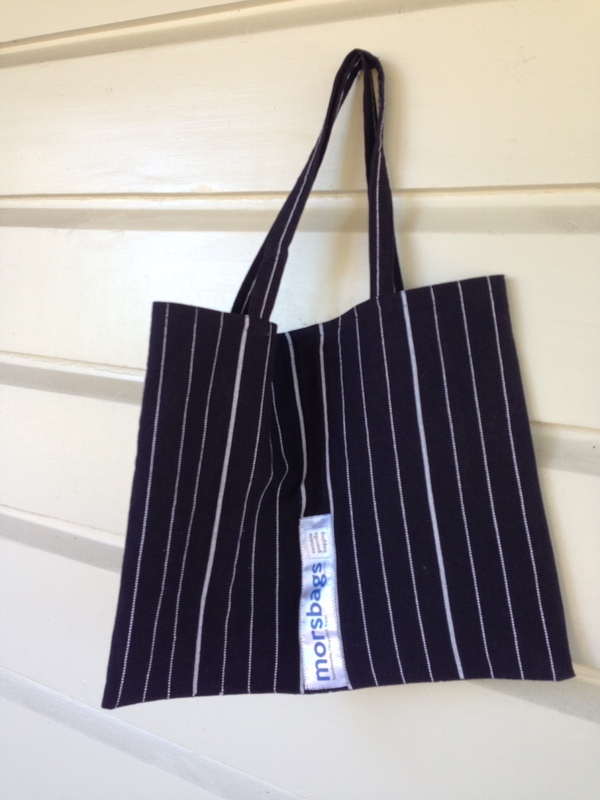 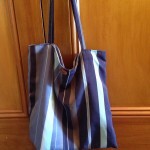 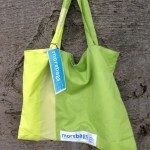 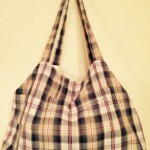 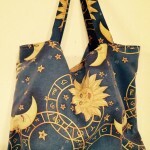 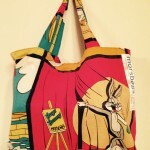 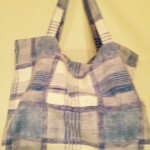 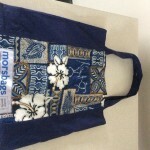 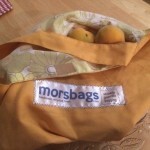 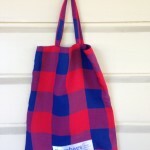 The Morsbags project appealed to my bag-making and recycling tendencies. 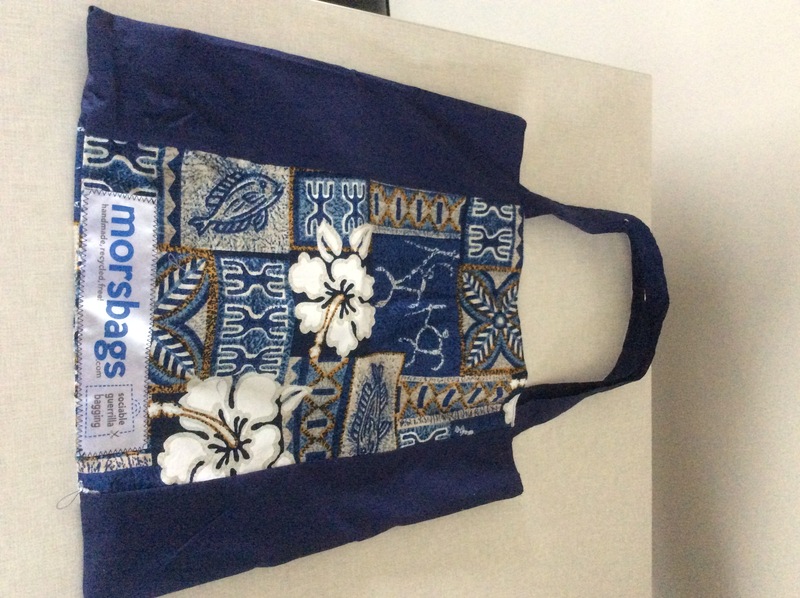 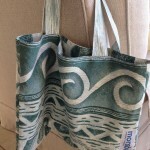 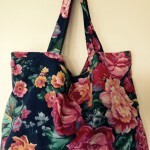 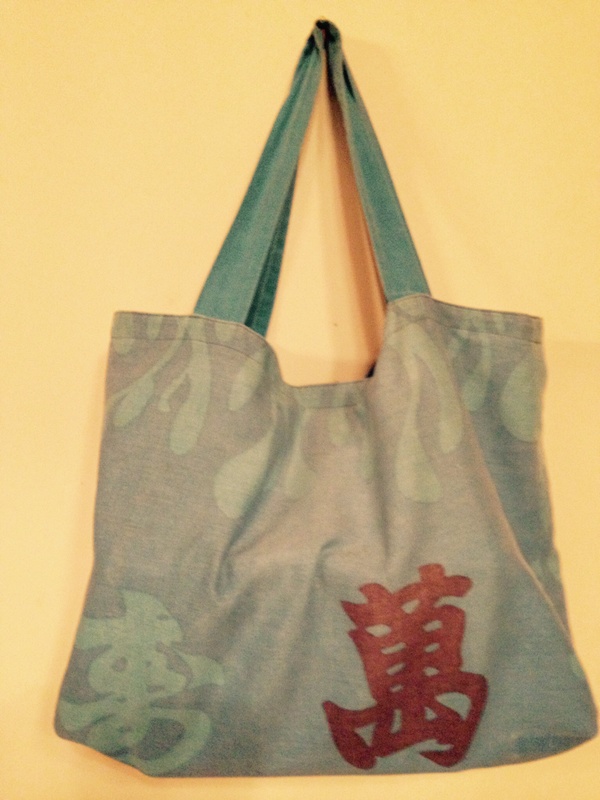 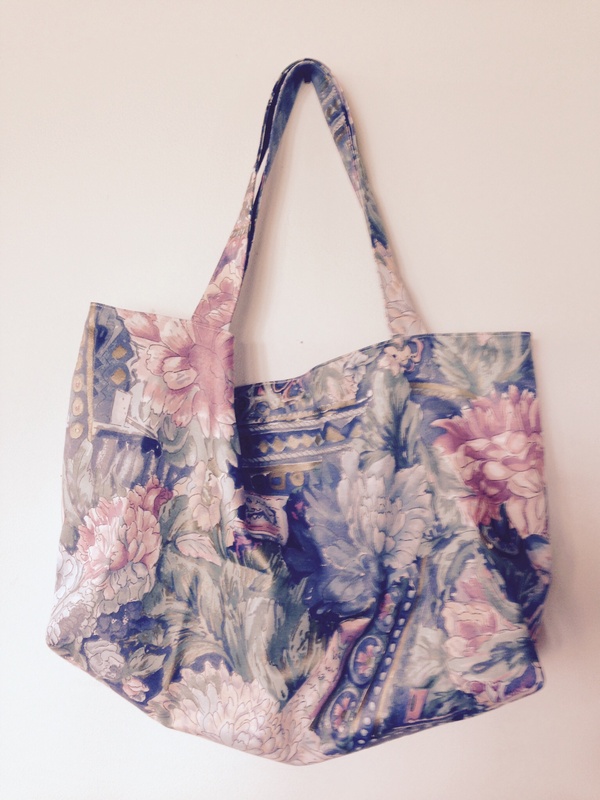 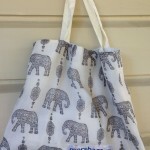 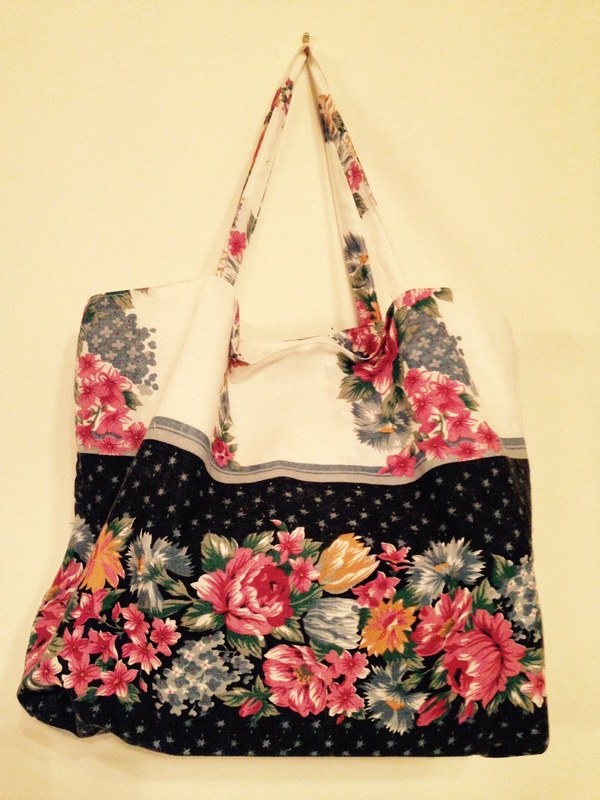 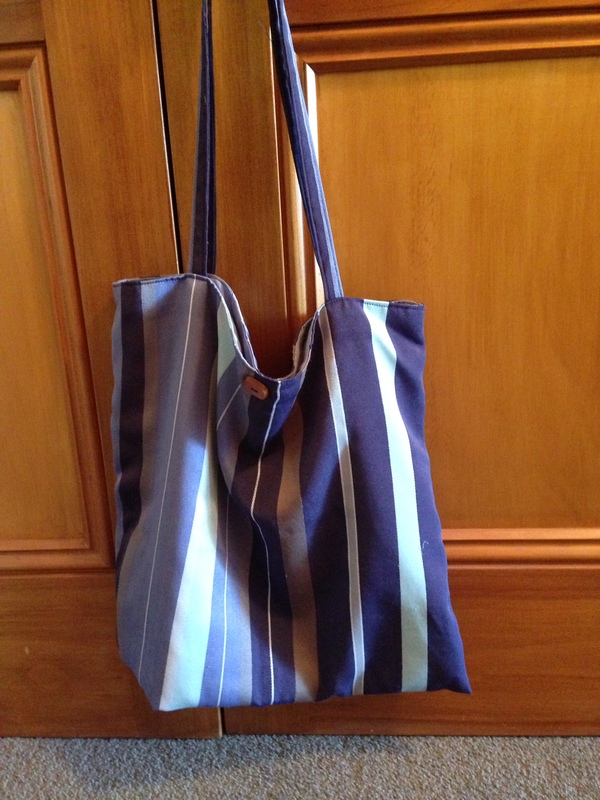 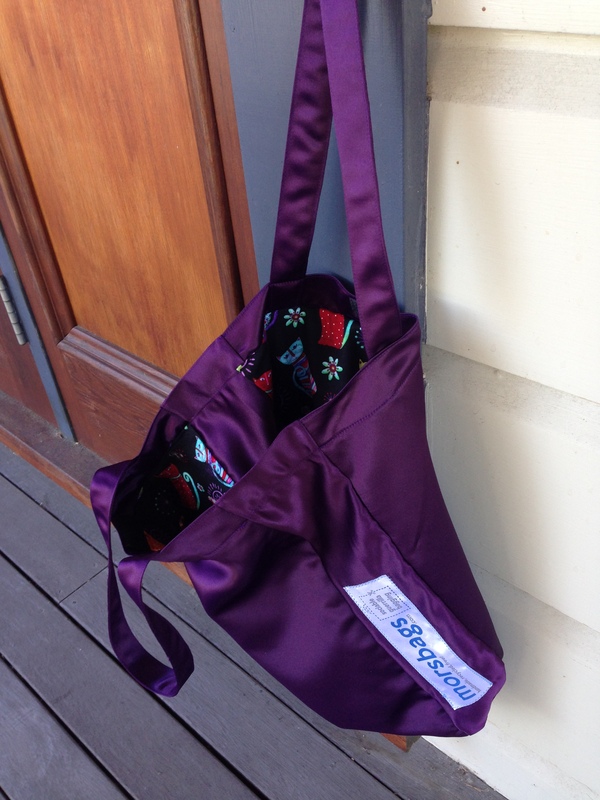 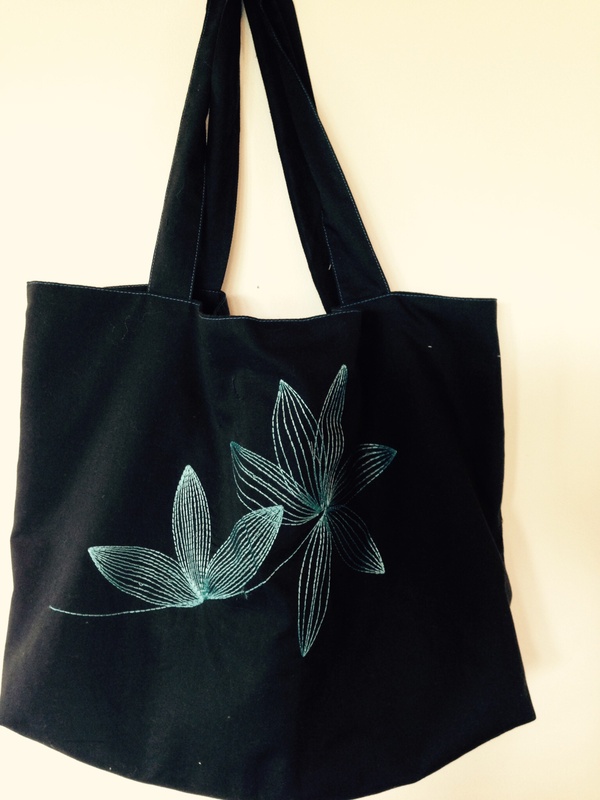 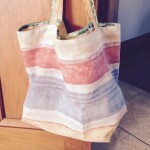 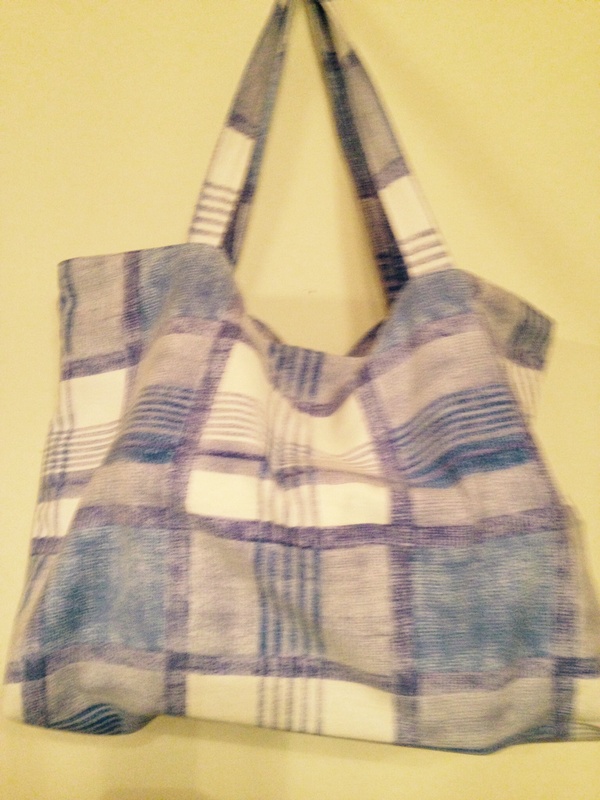 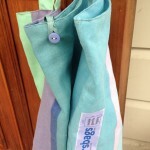 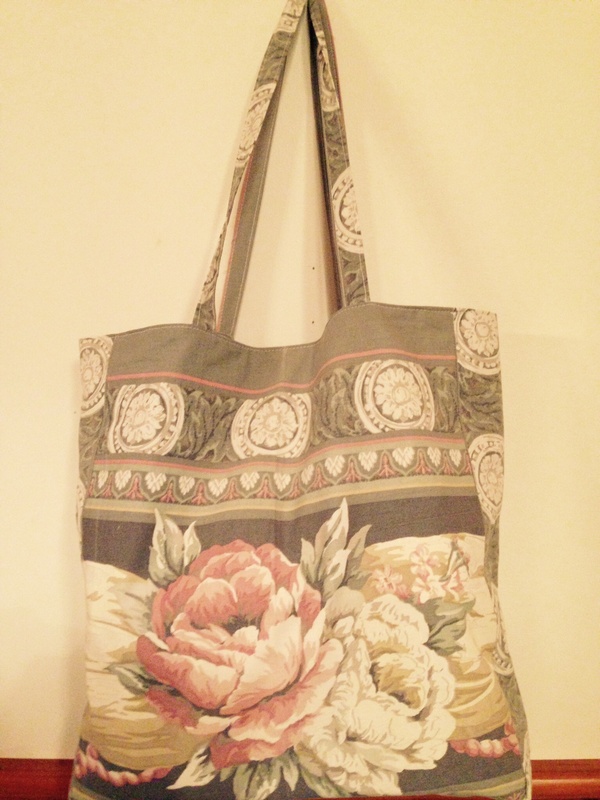 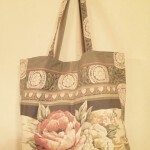 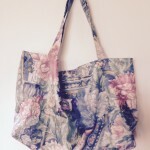 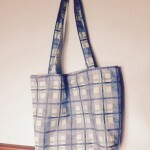 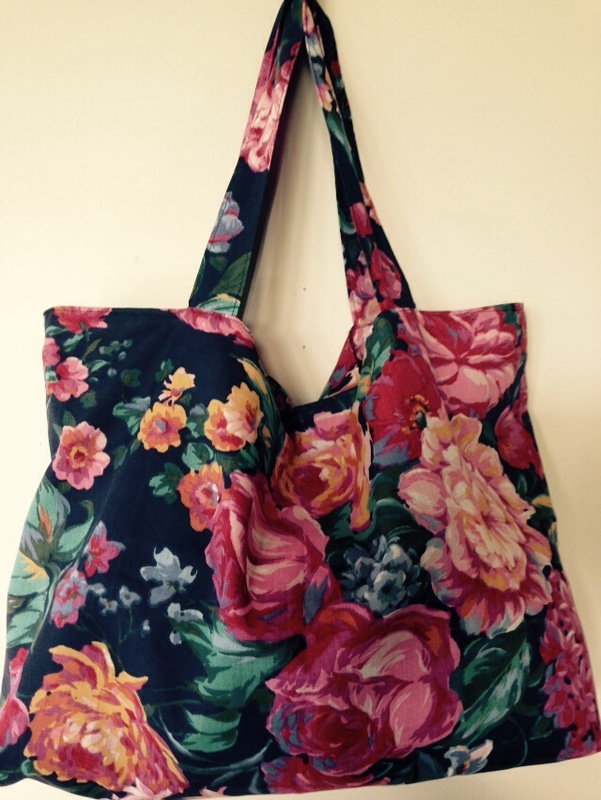 I’ve made some bags out of second-hand pillowcases and op-shop (thrift store) remnants to give away and help reduce the number of plastic bags we use for shopping. 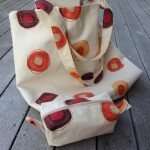 If you can sew and want to get involved there are pods all over the world or you can start your own. 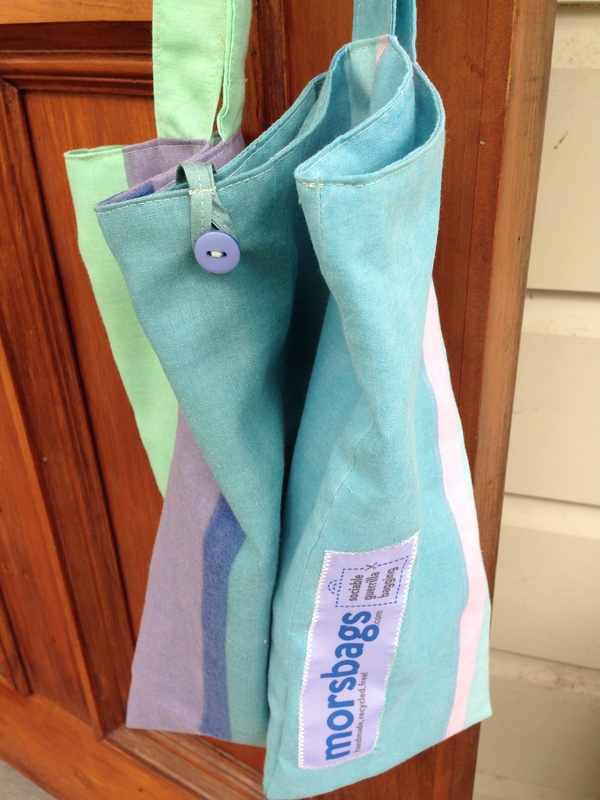 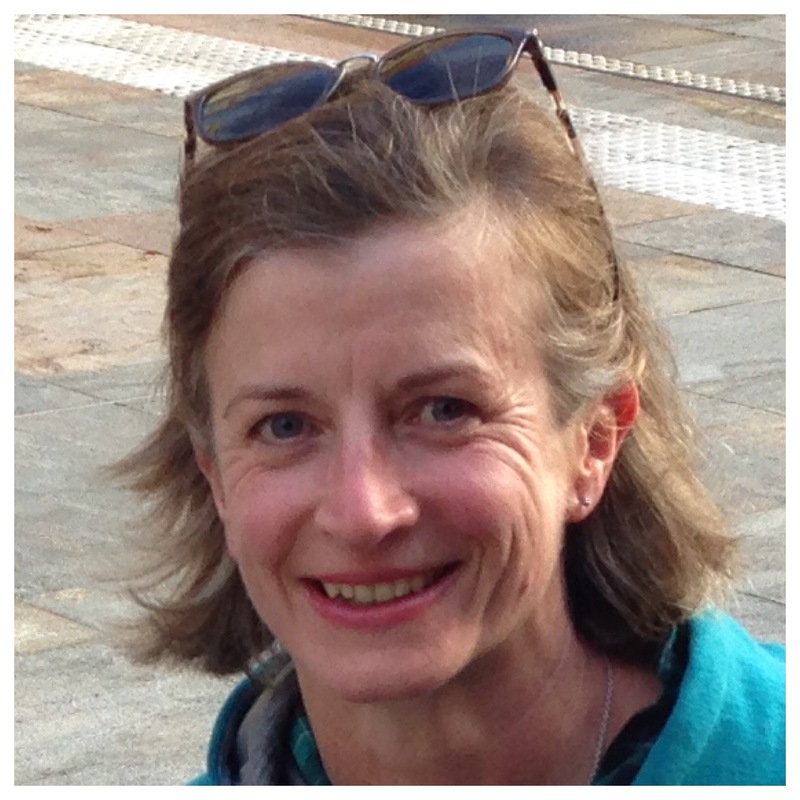 I’ve set up a social sewing group called ‘Hawke’s Bay Fabric Hoarders‘. 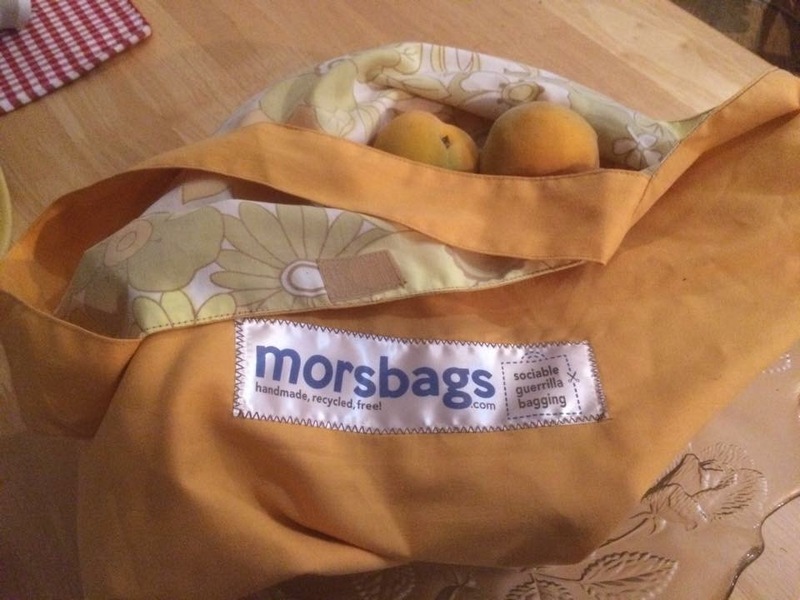 We sometimes sew bags. 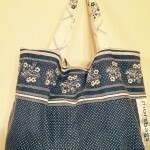 Bag from a remnant with handles made from the unused denim belt carriers I made for a pair of jeans. 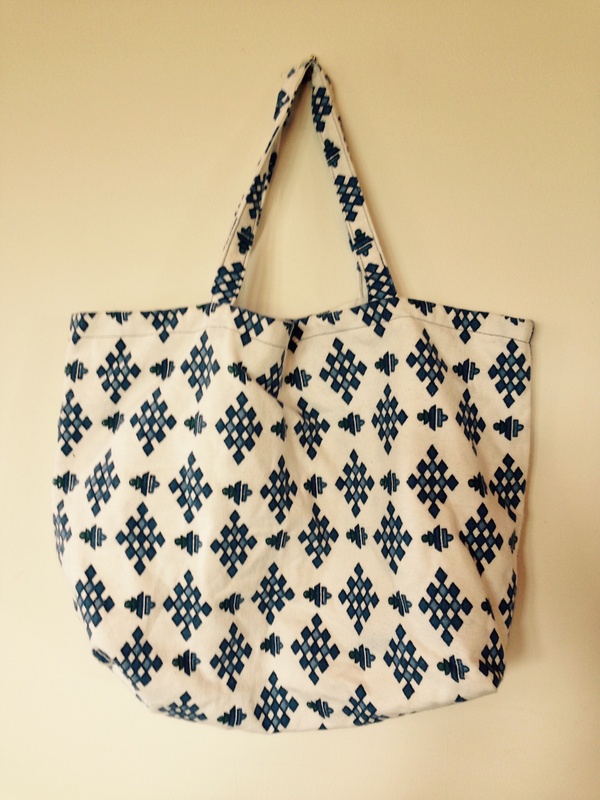 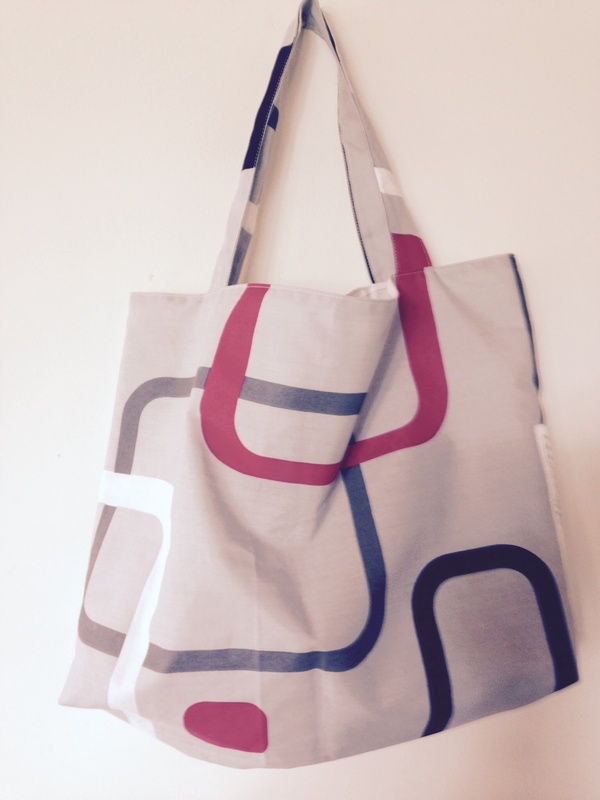 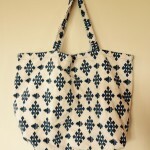 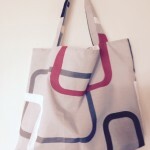 I made a pair of these geometric design pillowcase totes. 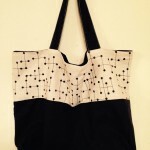 Tiny white stars with a striped lining. 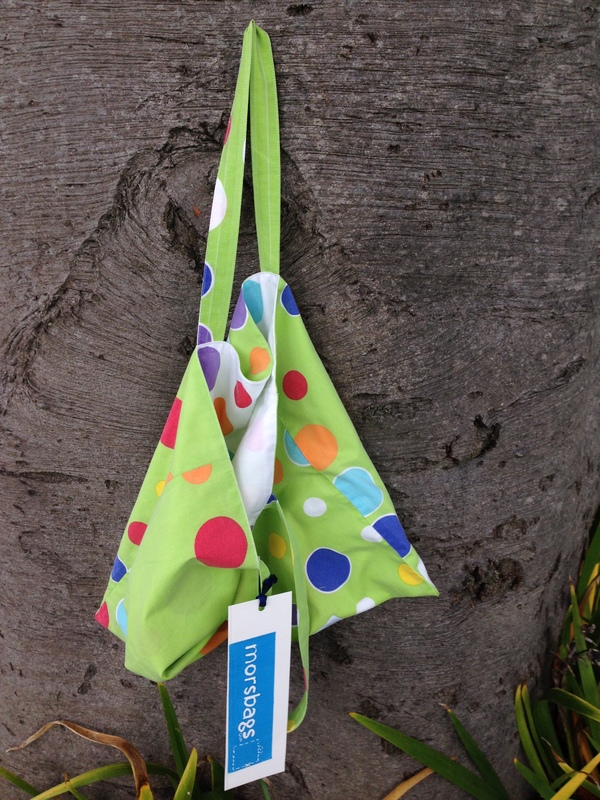 Two remnants that went together well. 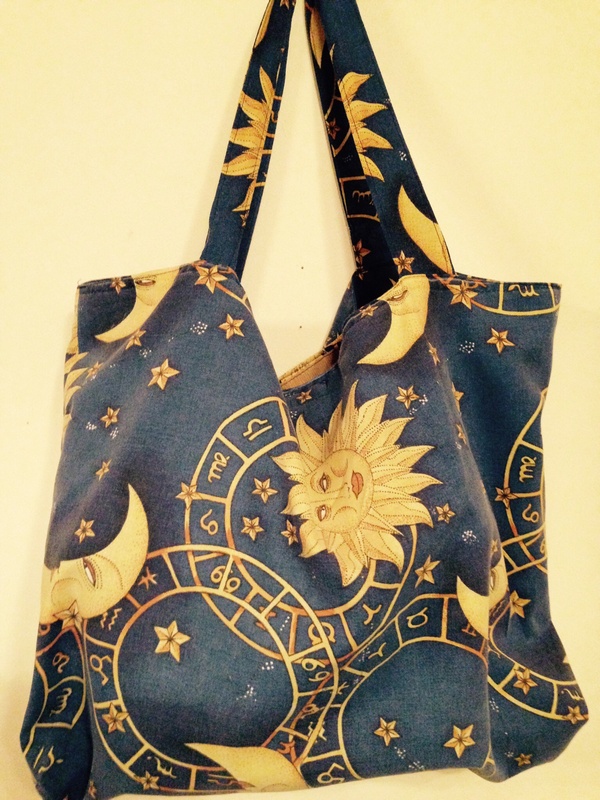 Signs of the zodiac pillowcase. 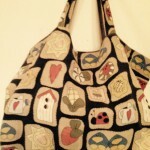 Sea scrolls and seashells pillowcase. 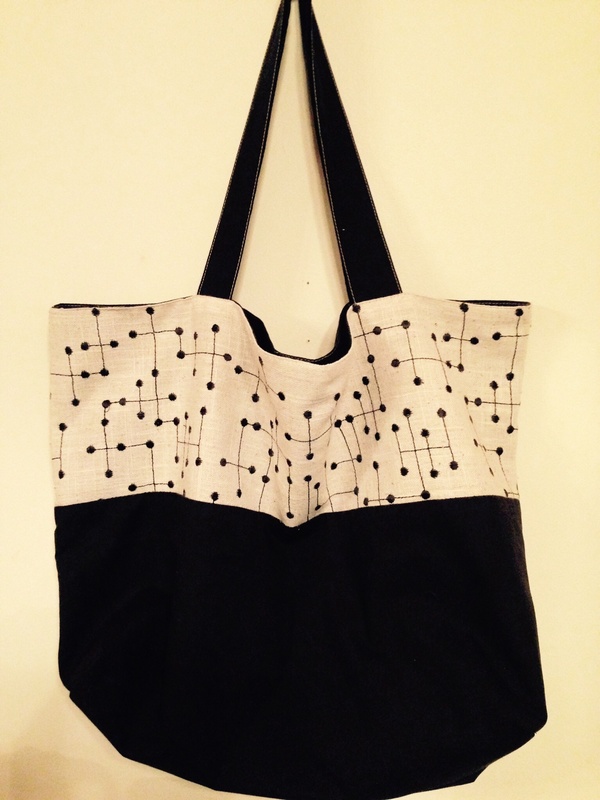 Black and white dotty pillowcase tote. 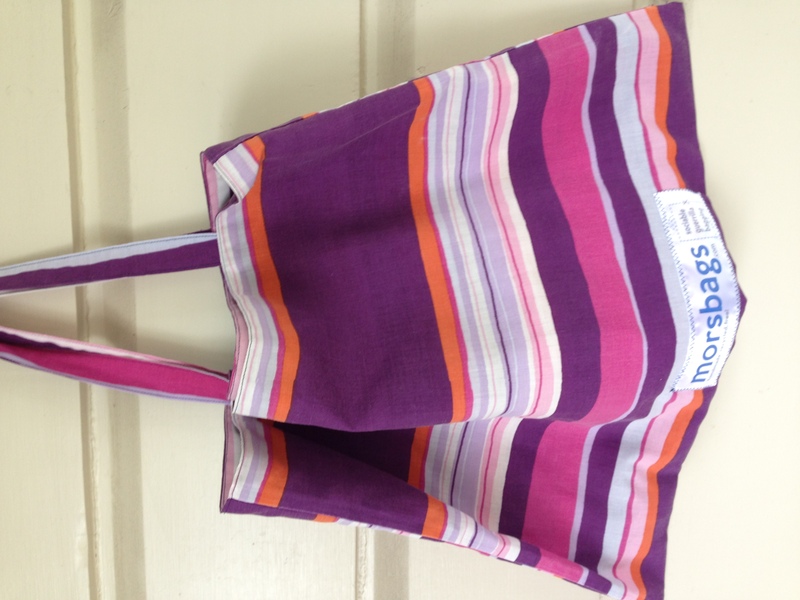 Purple satin with crazy cat lining. 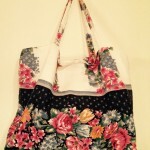 More flowers on a pillowcase. 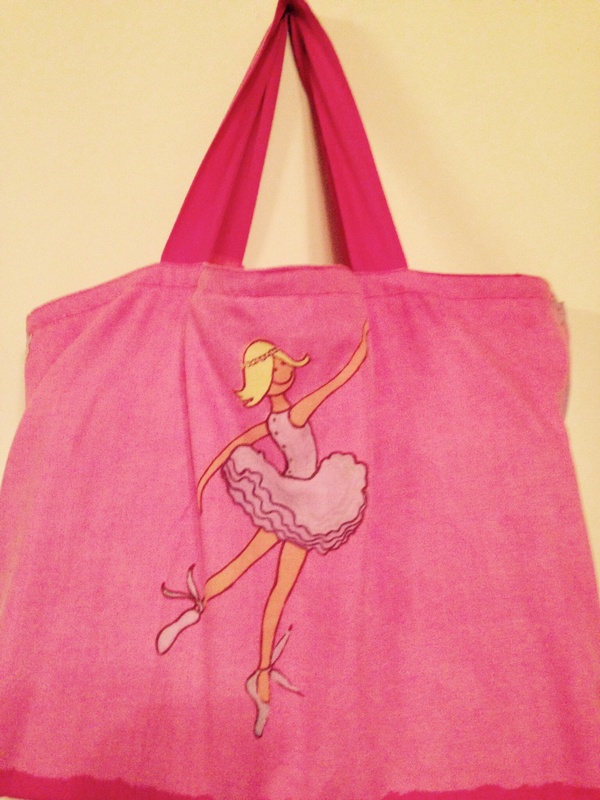 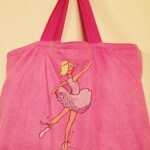 Ballet dancer pillowcase tote for a lucky five year old girl. 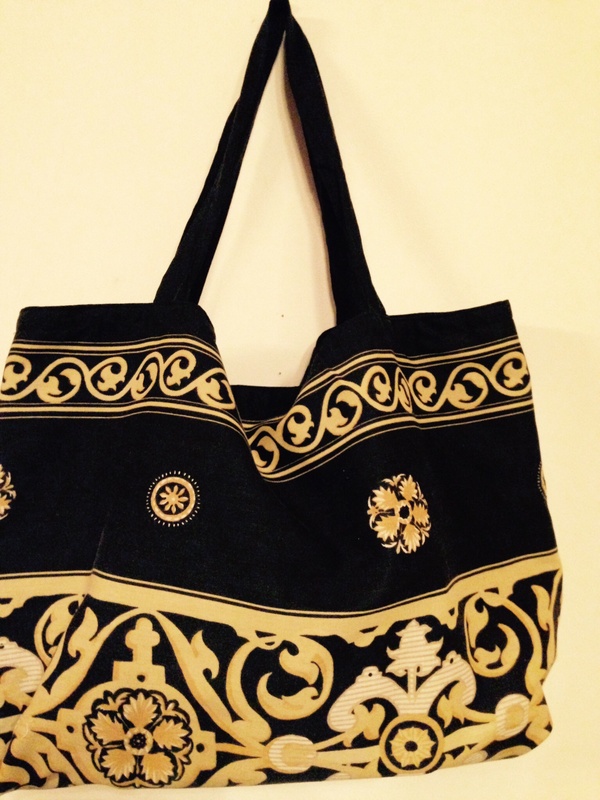 Bold patterned gold on black. 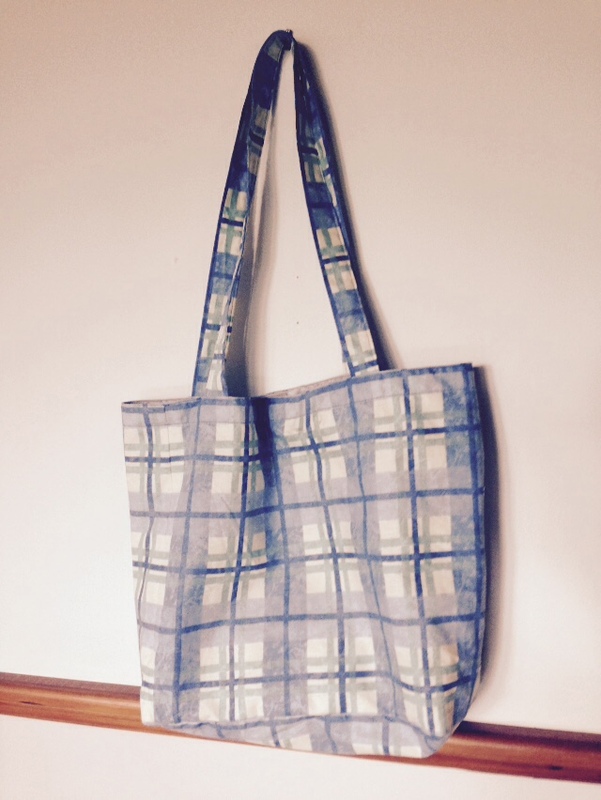 Tartan fabric from a favourite old shirt. 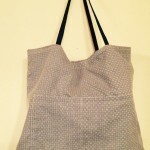 Enough left from this upholstery remnant for a small matching pouch. 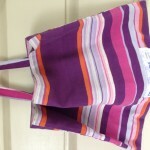 Purple stripes with a lilac lining. 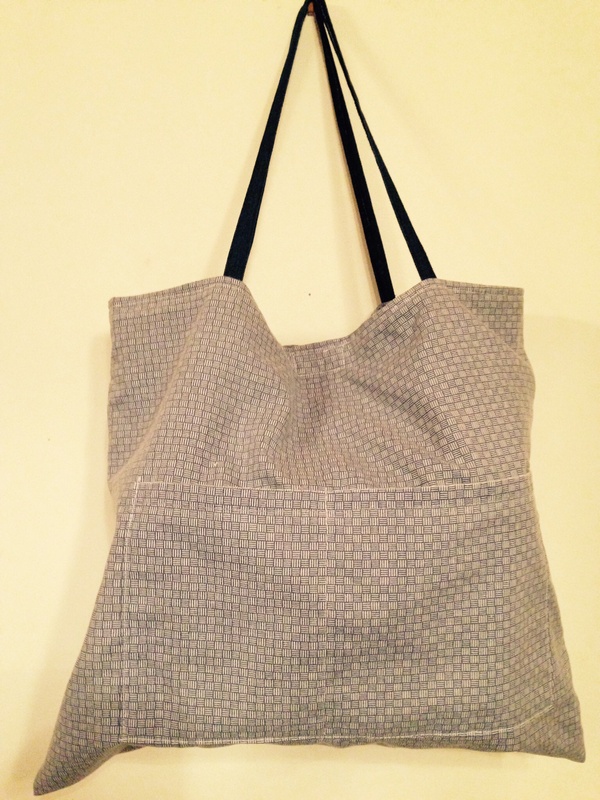 Soft pink and grey pillowcase. 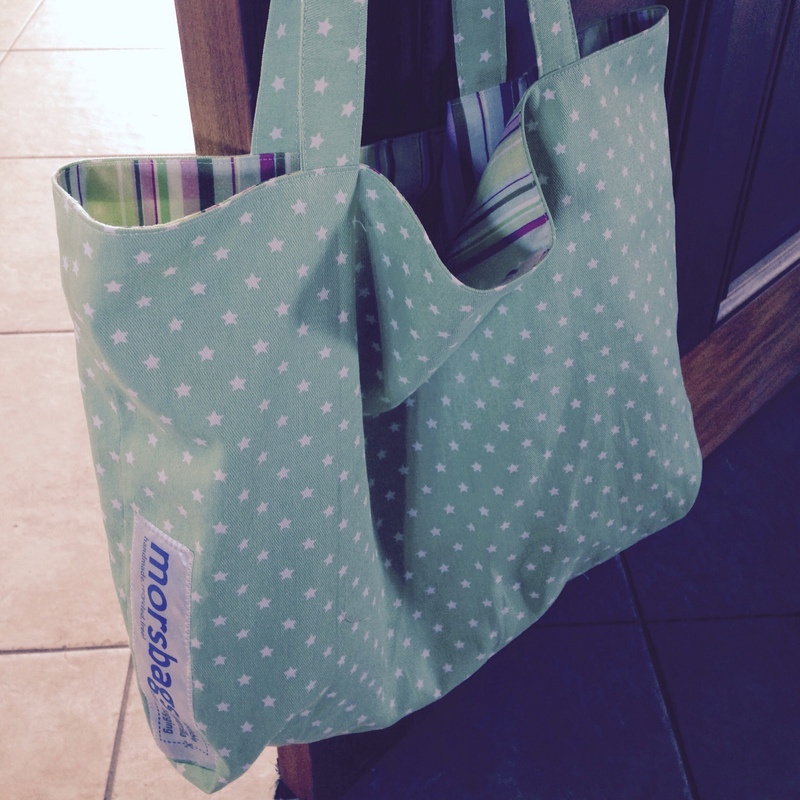 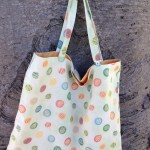 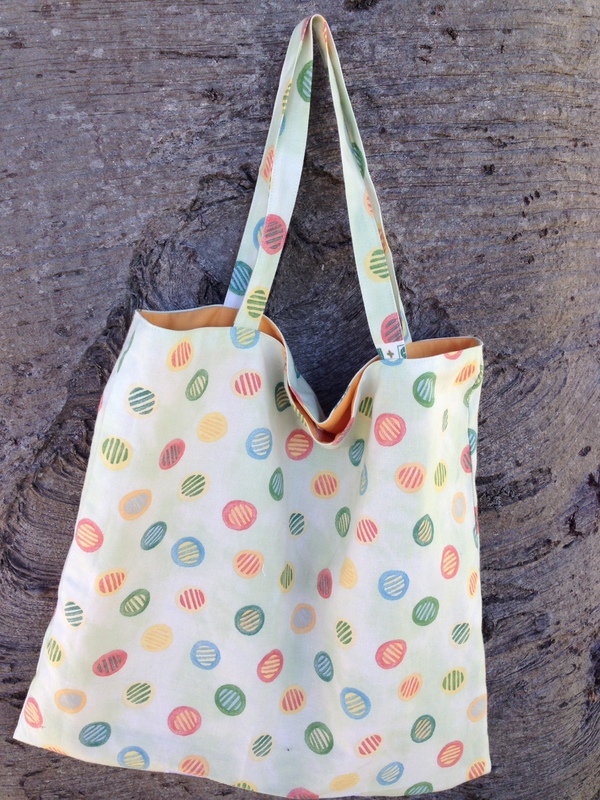 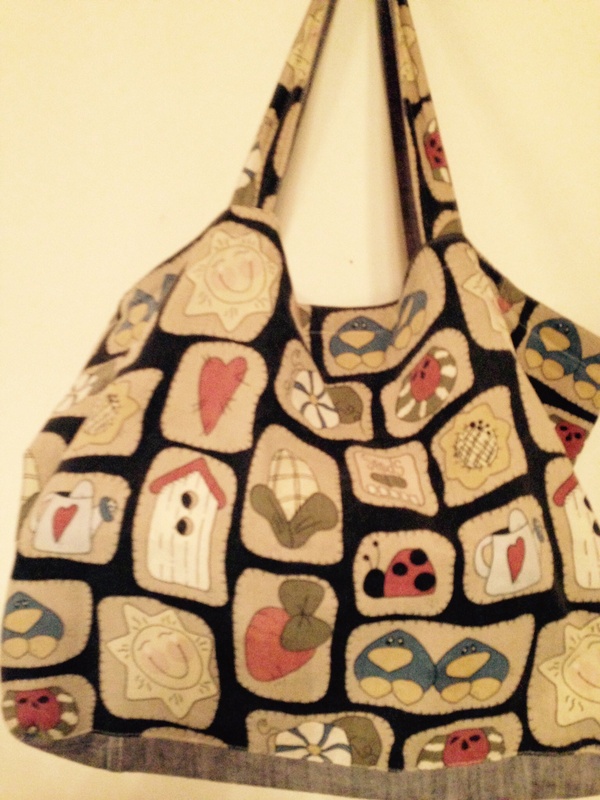 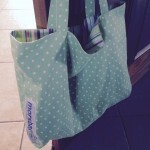 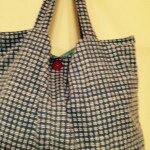 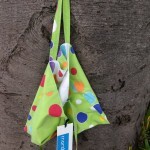 Dotty pillowcase tote with dotty lining.